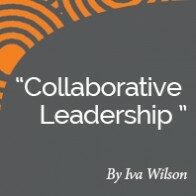 Iva Wilson launched her coaching firm, The Coaching Collaborative, to help leaders re-invent their organizations to thrive during the continuously changing environment. 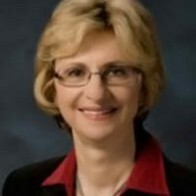 Focused on helping women achieve their career goals, Iva brings to her coaching 30+ years as a successful c-level executive (former President of a large international tech company), and her varied academic credentials (MBA and Phd in Electrical Engineering). 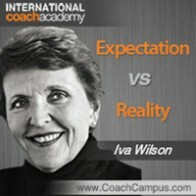 Now a graduate of International Coach Academy and having earned her ACC, Iva enjoys working virtually with executive, leadership and career clients around the world. 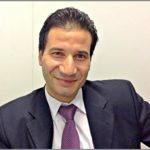 (1:22) From doctorate in Electrical Engineering to executive coach. 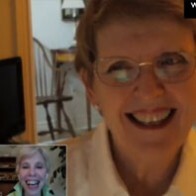 (1:30) Iva’s deep desire to help people led her to coaching. (1:40) Wonderful experience with her own coach. (2:19) Started consulting but not rewarding enough. (2:50) When you coach someone they don’t forget what they learned. (3:43) The powerful effect of asking questions. 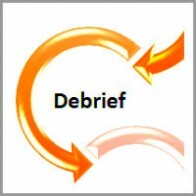 (4:01) Iva’s Coaching Model: Discover, Debrief, Design. (5:50) Starts with coaching 1 hour a week for the first 3 weeks. 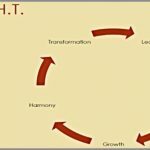 (6:41) Coaching is a circular process but always moving forward. (7:01) Power tool: Expectation vs Reality. (7:27) Corporate experience with lay offs involve reality and expectations. (8:32) Fired on the spot for doing the right thing. (9:27) Wrote a book on developing leadership model. (10:01) Coaching must be a part of all leadership elements. (10:55) Don’t sell coaching. Offer to coach!